Dogs enjoy receiving Christmas presents too. 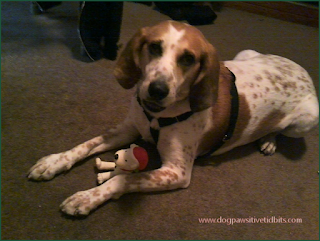 My dog Valentino sure enjoyed the gift of a few dog toys and treats this year. One particular package to be opened for Valentino turned out to be great fun on Christmas Day. As I sat this present down on the floor for my dog, I inadvertently squeaked the squeaker toy taped to the top of the wrapped gift. 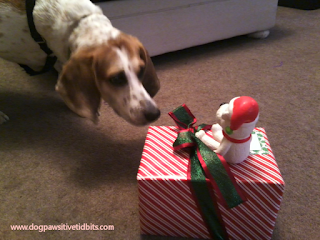 From that point on Valentino was on alert and approached the gift with canine caution. Naturally, Valentino's nose got the better of him. He just had to get to that scent coming from inside the packaging! Valentino sneaked up on the gift ever so cautiously to sniff the scent of the wrapped gift, all the while keeping an eye on the squeaky thing. But of course, for my own entertainment, I had to squeak the Christmas dog toy once again. He grabbed it and ran! Once again, my hound dog was led right back to the package by its scent. 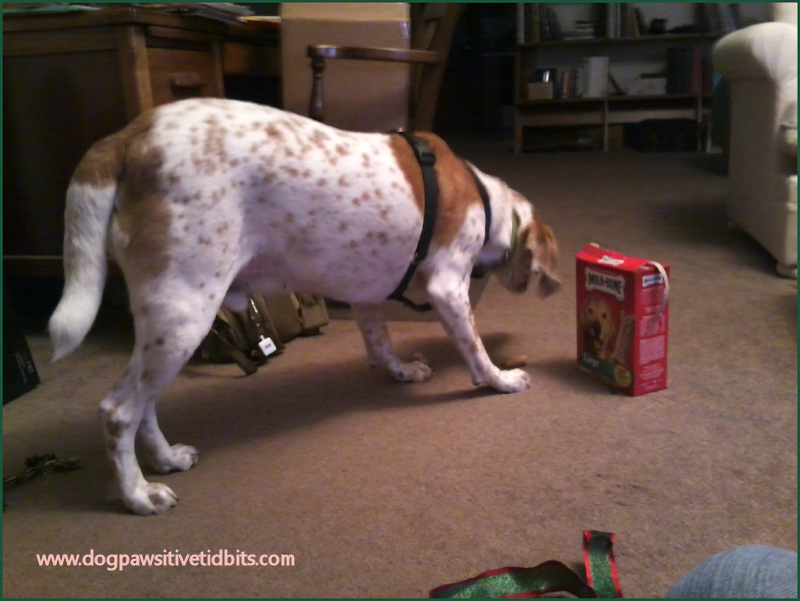 It is then that I unwrapped the gift and opened one of two boxes of MILK BONE dog treats. Naturally, Valentino helped himself to one and begged for more. I thought for sure Valentino would have destroyed that squeaker toy within the hour but my boy surprised me and did not. Instead, entertainment continued as my dog would lay with the toy at his front paws and bark at it! This went on for as long as I could handle the noise. Each day we get Valentino's squeaker out of my desk drawer. He gives it a chew until it squeaks, then he proceeds to bark at it all over again until I put it away for another day. I would really like to know what Valentino is saying in dog talk to that toy! Wouldn't you? For now, I am content to know my boy is enjoying the Christmas gifts bestowed upon him. Me too! 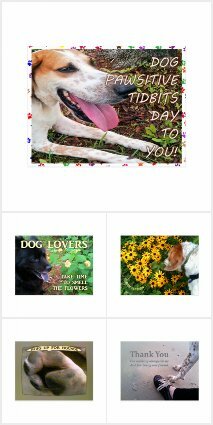 This was a gift from a church lady friend who has a soft spot for dogs, so when giving me gifts for the holiday she gave a few for Valentino too. Obviously, Christmas squeaker dog toys are great fun for dogs and their human companions alike. Note: Read more about the gifts my dog and I received from the church ladies of Hope UMC right here at Love Lives In Hope. 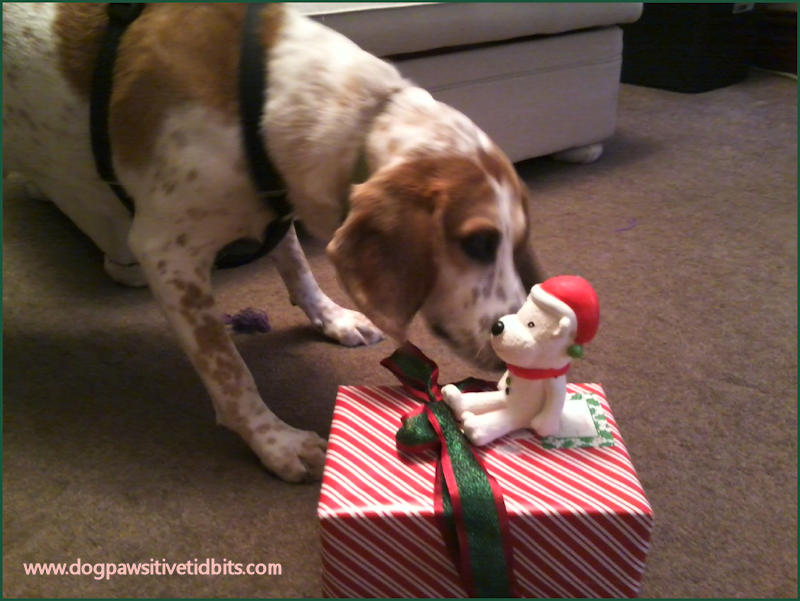 Did your dog receive the gift of a squeaker toy for Christmas? Disclosure: Ruth Cox is an associate of Amazon and may earn commission via purchases made through links in this article.